Replacing your roof can be a significant expense, which is why you need to make sure every detail is planned carefully. First and foremost, you need to hire a reliable contractor who can deliver safe, honest, and exceptional service. This is where ABM Services and Renovations stands out. Before starting your roof replacement project, you need to obtain a permit. 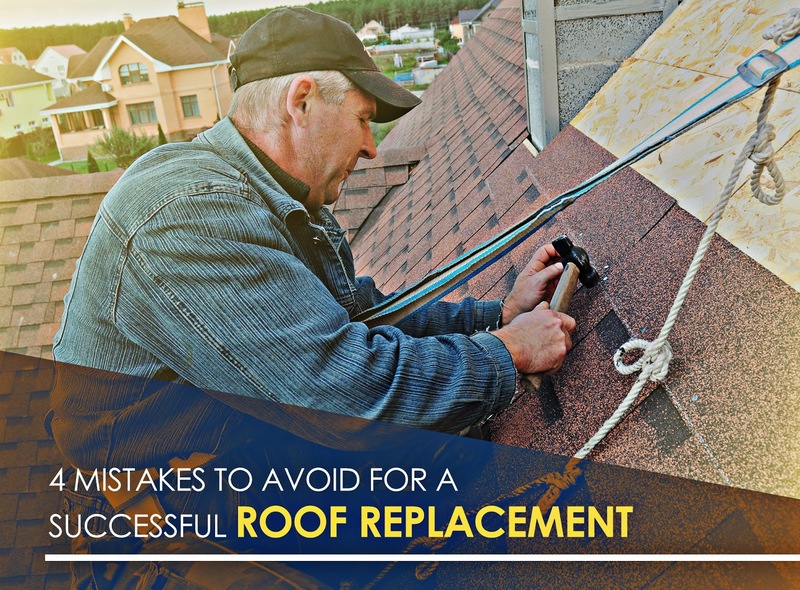 You shouldn’t skip this step because you’ll have to pass an inspection after installing your new roof to see if it adheres to your local building codes. As your roofing specialist, we will help you acquire the necessary documents. You should work with a contractor who carries workers’ compensation and liability insurance. This will protect you from liabilities in case of accidents or property damage. As one of the top roofers in the area, we have the proper insurance, licensing, and bonding. We can show you our credentials for your peace of mind. In most municipalities, it is illegal to install a new asphalt shingle roof without removing the old one. Even if your area allows this practice, you still shouldn’t do it. A quality roofer will take the time to tear off the old shingles first to minimize the stress on your home’s structure. Flashing is the strip of metal that safeguards your roof against water infiltration. Some roofers, however, reuse it in attempts to reduce costs. This makes your roof highly vulnerable to water damage. At ABM Services and Renovations, we always make sure that all our materials are new and of the best quality so we can guarantee excellent results. Whether you’re in need or roof repair or replacement, we’ve got you covered. We have what it takes to deliver flawless workmanship for your project. Call us at (770) 282-3700 to get a free estimate. We serve Fayetteville, Sandy Springs, and McDonough, GA.